Justin Duffy was born and raised in Brick, New Jersey, down by the famous---and now infamous---Jersey Shore. Born to a police officer and a veterinary technician, he had a very interesting and educational upbringing. This small town New Jersey origin has allowed him to truly appreciate human connection and community. When Justin graduated high school, his parents separated and he made a move up to Elizabeth, NJ with his father. He spent four years in Elizabeth learning about himself and the beauty and diversity of people. During this time he began building a career in fashion retail as a visual merchandising manager, which eventually lead him to New York City. After a year of living in Brooklyn and designing store and window displays for top retail chains in Manhattan, Justin decided to leave the fashion world in pursuit of something more fulfilling. He had always had an interest in real estate, not because of the income potential, but because of the people. It's all about relationships. "There are no bad experiences; just good stories. The same goes for the people and the adventures you encounter while working in New York City real estate. It's all beautiful and I am so grateful to be able to meet and help so many amazing people on a daily basis." 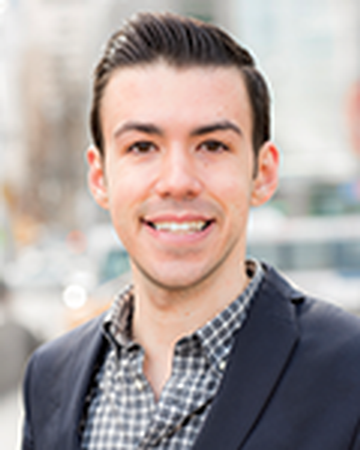 Justin now works with the largest independently owned real estate firm in New York City, getting to know his clients better than they know themselves---and finding them the homes of their dreams. When he's not helping his clients, you can find Justin at a yoga studio in Brooklyn, an art gallery in Chelsea, or practicing with the local improv group. Justin Duffy and Aubree Brown helped me to find the perfect apartment with all of my requests. I always felt like they were on my team even after the lease was signed. They were efficient, kind, and had access to all listings, including those I had seen listed with other real estate agencies. I''d refer them to anyone! When I decided to move to NYC all I heard were horror stories about finding apartments. Thankfully, my brother recommended that I work with Justin Duffy because he had made his apartment search so much easier. Justin made the process simple and painless; the least arduous task in my move to Manhattan. I would recommend Justin Duffy to anyone new to New York City. Justin Duffy and Phillip Gepty were incredible assets in finding the perfect apartment. They guided us through the process and really took the time to understand my wants & needs. I absolutely recommend BOND to all! In looking for an apartment in New York City, it began as a daunting task for my daughter and I, given we were from Arizona. We noticed a listing online by Justin Duffy, Bond New York Real Estate Broker. Justin quickly responded with an outline and information of what to expect. Within 24 hours his team contacted me and the ball was rolling. Aubree Brown reached out to me and she was amazing! We had several conversations on what to expect prior to our arrival. We looked at several places and picked one, did the paperwork with the team’s careful guidance and submitted the application. Approval was received within 24 hours! The process was smooth! The only advice I have to give is to make sure there is a corresponding bank available as ours was not and securing funds (money orders) through the post office proved frustrating. The solution to that was my husband overnighted certified checks via FedEx. The team supported us through the entire process. I definitely recommend Aubree Brown and Justin Duffy for your rental needs. They were polite, professional and patient. They know what they are doing. My roommate and I have gone through BOND New York, specifically with Justin Duffy, for the past two apartment moves and will continue to do so every time our leases end! We have had wonderful experiences and both of our apartments have been everything we asked for and more. The process is much faster and more organized than I anticipated when moving to NYC and I could not recommend BOND and Justin more highly. January 2018 by Neal Z.
I worked with Justin Duffy and Phillip Gepty and could not be more pleased. Very responsive, easy to coordinate with and made the entire process incredibly smooth. January 2018 by Caitlin K.
After quite a few sub-par brokers, I was waiting for the other shoe to drop when I met Aubree and Justin - they were too good to be true (spoiler alert: my partner and I have happily moved into our new apartment and no other shoes have dropped). Aubree showed us apartments within our budget AND were what we were looking for (sometimes a tough combo!). In addition, they were very fast and responsive whenever we had questions. We met with Justin both to apply and sign the lease - he was patient, organized, and very helpful (and funny!). When I have friends who are moving, I will recommend them. January 2018 by Travis W.
Justin was honest, knowledgeable, and courteous. Apartment hunting in NYC is extremely complicated and intense, but he made the process simple and effective from start to finish. He’s the first person I would recommend to anyone trying to navigate NYC real estate! Never thought it would be so fast and easy! Impeccable service and knowledge. We were newcomers to the NYC rental market - totally satisfied! Because of Justin and Phil''s professionalism, the entire experience of apartment hunting is going very smoothly! Now I am living in a great apartment, everything about the place is working so well together that I''m actually able to be 100% focused on grad school and other non-apartment-related aspects of life. Justin Duffy is beyond amazing!! I cannot say enough good things or thank him enough for everything he did for my son. After making three trips to NYC from Boston trying to secure an apartment in Manhattan for my son, and having no success with another realtor; on our fourth trip my son reached out to Justin Duffy and Linaris Rivera. From the moment he made contact and we visited them at their office, we knew we were in great hands. Justin listened intently to my son''s needs and scoured his listings for apartments that would fit his budget and geographic requirements. Justin had several listings and Linaris took us all over the East and West Villages showing us apartments. Linaris was so much fun to work with, she knows the city and its neighborhoods inside and out, and was able to answer all our questions. For the first time, we actually had a great time looking at apartments! Linaris stayed late into the evening to show the apartment my son is now renting, and Justin stayed extra late to help us through the application process. Justin was so attentive to our needs, our time constraints, and the fact that we were having to do this from Boston. Justin was in touch with us every day, keeping us informed of the status of our application and getting the lease overnighted to us for signatures. But it doesn''t end there! Justin was in touch with the management company for us to clear up a couple of questions we had, and he even arranged to pick up the keys for us and delivered them to us at the apartment on SUNDAY of Labor Day weekend! Unfortunately for Justin we were a couple of hours late getting into the city that day and it held him up from enjoying his long weekend - for which I apologize profusely. Justin has continued to follow up with me and my son to make sure that everything has been going as planned. I truly believe that if it had not been for Justin Duffy, my son would still be living in Boston! Thank you so much Justin!